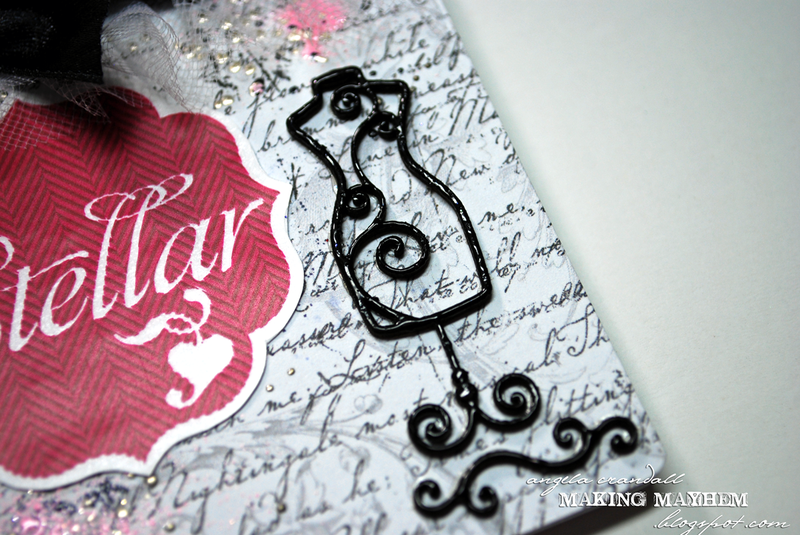 Today I have a "Stellar" project to share with you. I am a list maker and always in need of another cute notebook to write the funny things my kids say, project ideas, my to-do list, etc. 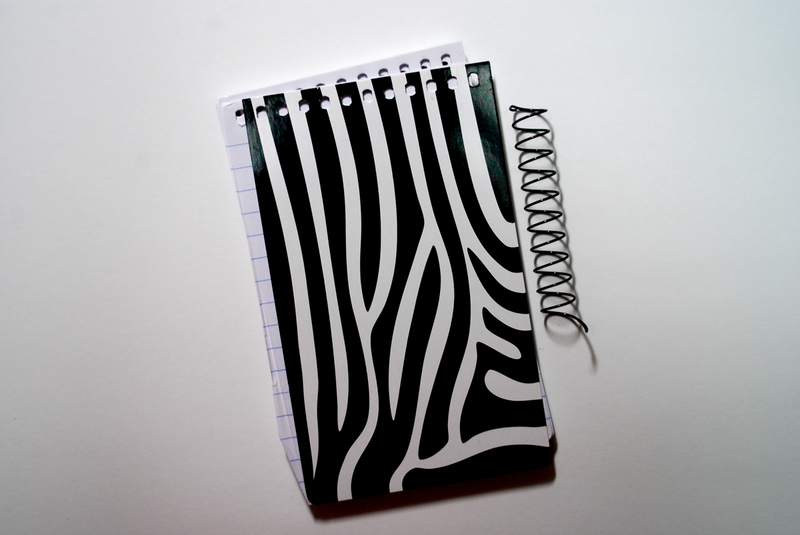 With a few Accents and some Embossing Enamel, you can have a fun notepad, too! This is the before shot of the notepad. I love the black and white color scheme. The zebra pattern...not so much. Carefully bend both of the end wires, so you can 'unscrew' the coil from the paper. Hang onto the coil, if you want to use it again. 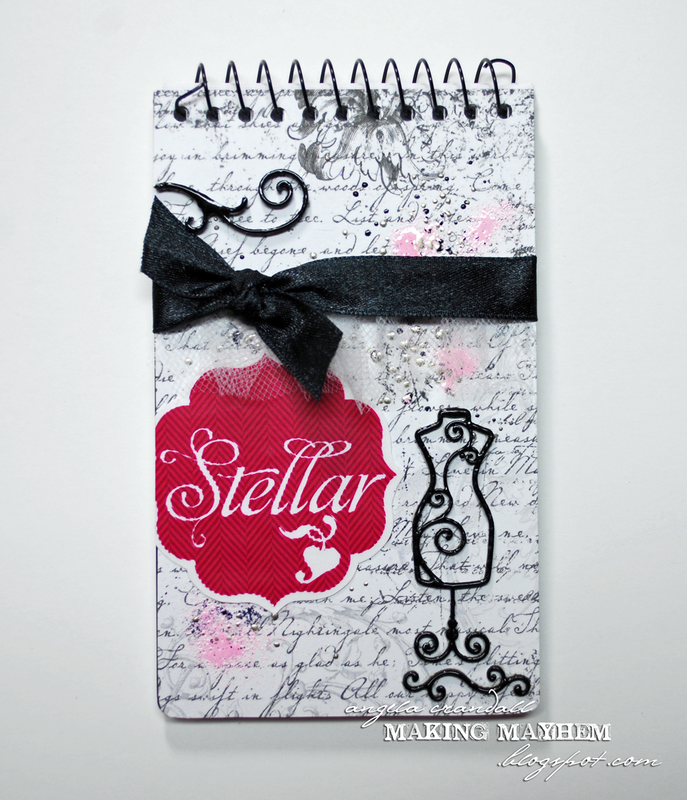 Trace the cover onto the back of your patterned paper. (I traced the holes and used the small hole on the Crop-a-dile to punch through the paper.) Randomly sprinkle Poodle Skirt and heat. Let cool. Time to put it all together! Twist the coil back into place. Using Glastique, adhere all of the Accents. 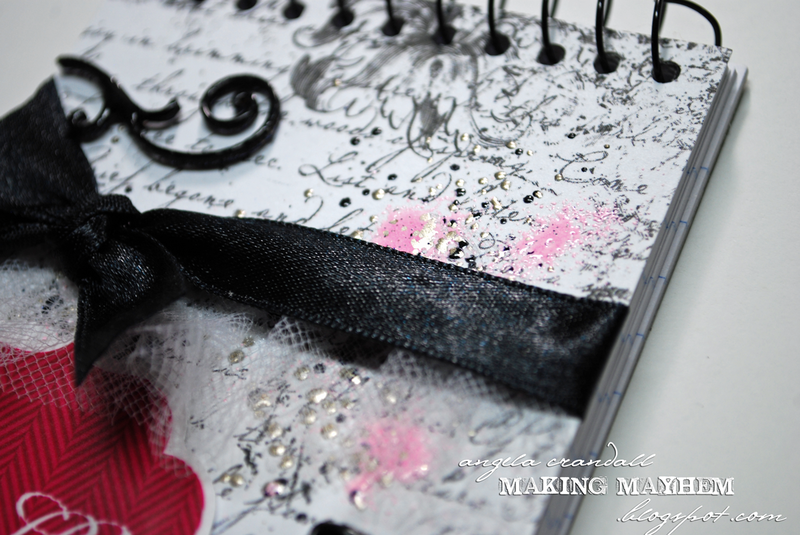 Adhere ribbon and tulle. Apply word sticker. Done! These are so quick to make. I have a few more teacher gifts to make and you can be sure these notebooks will be included! Awesome notepad, love how the dress form looks against the new background. Wonderful embellishments too.